As Thanksgiving came and went, finals are creeping around the corner. Last semester you said you were going to start studying early but instead crammed the night before your Statistics exam. As if last semester wasn’t traumatic enough, finals are still fast approaching. If you’re starting to panic like me, here are a 10 tips to ease your nerves before your first exam. To instantly calm your nerves, start studying now. You can start by reviewing your notes and asking questions about things you didn’t understand in class. This will allow you to fully think through tough concepts and avoid cramming the night before the exam. Although most professors will give you a final exam study guide, its important to build off of that to create your own. Writing down your own ideas next to your professor will help you understand and memorize it more easily. Studying in groups is extremely helpful. This gives you the opportunity to teach others what you know and also learn things in a new way. Also, your study group may be able to quiz you, so you know your strengths and weaknesses on the information. It is extremely important to stay well rested and avoid all-nighters at all costs. A 2008 study by Pamela Thacher says that all-nighters impair memory for up to four days. That means that all-nighters could virtually be pointless, leading to lower grades. In order to stay on top of your work, you should create a study schedule. It is important to stay with the schedule so you feel organized. This way, the material will be separated into chunks as opposed to all at once. 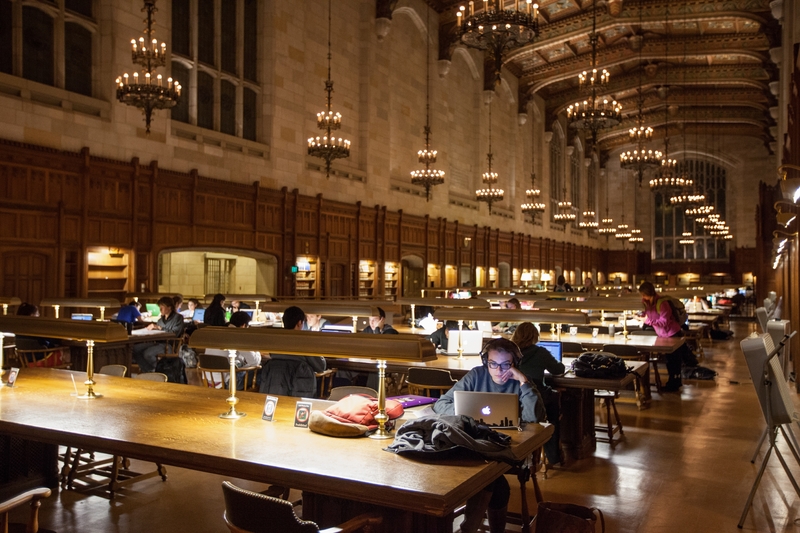 According to an article by The New York Times, alternating study spots improves a person’s retention. The study says that the brain makes associations between the material studied and the location it was studied in. Try to alternate study locations by going to Starbucks, Fondren or off campus. Although it is important to eat healthily all year round, during finals it is especially tempting to grab the Ben & Jerry’s. Make sure to get a good breakfast such as oatmeal before a big day of studying or an exam. A study suggests that eating high-carb, high-fiber, slow-digesting foods like oatmeal are more fulfilling than cereal. Review sessions with a TA or Professor are great because they can answer a lot of your previous questions. They can also provide more information about the exam format, key concepts and what you should study. Make sure to take notes during a review session so you’re able to reference them later. Although it is not ideal, most college students cram for their exams. Instead of flooding your brain with information, study in intervals. A study shows that studying in 20-50 minute sections is better for your brain than cramming. This leads to long-term retention and memorization. Don’t panic yet! You’ve worked all semester for this and know the information. Remember to stay calm leading up to, during and after your exam. Focus on knowing the easiest information first and then digging through the harder concepts, you’ve got this! !